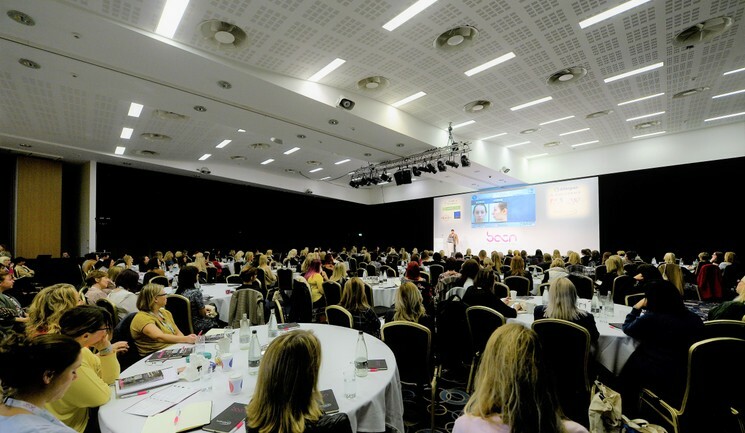 Around 300 aesthetic nurses met at Birmingham’s cricket ground, Edgbaston Stadium, on November 8-9 for the British Association of Cosmetic Nurses (BACN) Workshop and Masterclass Day and annual Autumn Aesthetic Conference. It was the first year that the BACN held a full day of workshops and masterclasses before the conference, which was very well received by delegates. The day also included a number of business style workshops, featuring an update to education and training by BACN CEO Paul Burgess, who said, “Be very wary of anything that uses the word ‘accredited’ as many people are using that term very loosely.” Nurse prescriber Jodie Grove also spoke on introducing your own skincare to your clinic, director of Cosmetic Digital Adam Hampson discussed Google tips and Hamilton Fraser claims manager Naomi Di Scala explored cyber risks. After the Workshop and Masterclass Day, delegates enjoyed an ABBA themed dinner and networking drinks, sponsored by SkinMed, which was supporting the Acne and Rosacea Association UK (ARA-UK). The Autumn Aesthetic Conference on November 9 began with a welcome from Paul Burgess and BACN chair, nurse prescriber Sharon Bennett, who discussed the importance of becoming a specialist nurse in aesthetics. Nurse prescriber Fiona Wondergem then presented on safeguarding considerations in aesthetic practice, followed by considerations for professionalism and competency in aesthetics by nurse prescribers Anna Baker and Jane Laferla. After lunch, Bennett launched the new BACN bursary programme, which is sponsored by Church Pharmacy. Galderma UK then held a sponsored session on facial assessment, presented by oculoplastic surgeon Mrs Sabrina Shah-Desai and nurse prescriber Jackie Partridge, who performed a live demonstration. This was followed by a session on complications by nurse prescribers Linda Mather and Sharon King, who said that analysis of data from the Aesthetic Complications Expert (ACE) Group indicates 53% of total complications between 2016-2018 were associated with lip augmentation. Two representatives from the MHRA then discussed adverse event reporting and Allergan held a session presented by consultant plastic, reconstructive and aesthetic surgeon Mr Christopher Inglefield on treating skin using Juvéderm Volite. 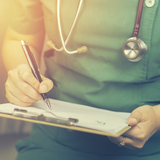 Harriet Burgess, a nurse practitioner currently doing her prescribing qualifications, said she had a very positive experience at the conference. 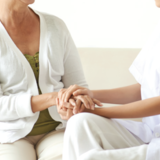 “It was thoroughly informative and had a good mix of case work and generic overviews of how the industry is developing. The highlight speakers for me were Professor Bob Khanna and Linda Mather – they were very educational and entertaining,” she said. Also exhibiting was Aesthetics Media Ltd, which held an exclusive journal survey competition for BACN conference delegates. 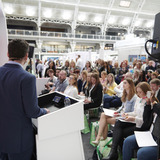 Nurse prescriber Clare Amrani was randomly drawn as the winner, allowing her to attend a session of her choice at the Elite Training Experience in 2019, a comprehensive educational agenda taking place at the Aesthetics Conference and Exhibition (ACE) on March 1 and 2. The next BACN conference will take place at Edgbaston Stadium in Birmingham on November 7-8 next year.